Update on Head-on Collision of Feb. 5 on Highway 146, LIVINGSTON, February 6, 2008 - According to an accident report released form the Livingston Police Department, the accident on Highway 146 in Livingston on Feb. 5, 2008 shortly after 11:30 am was caused by a vehicle traveling Southbound which failed to maintain a single lane and veered into the Northbound lane of oncoming traffic causing a head-on collision. The Southbound vehicle was a 1995 blue Ford Ranger driven by Thomas M. Underferth, 50 of Livingston. The Northbound vehicle was a white 2007 GMC 1500 Pickup driven by David D. Humble, 32, also of Livingston. 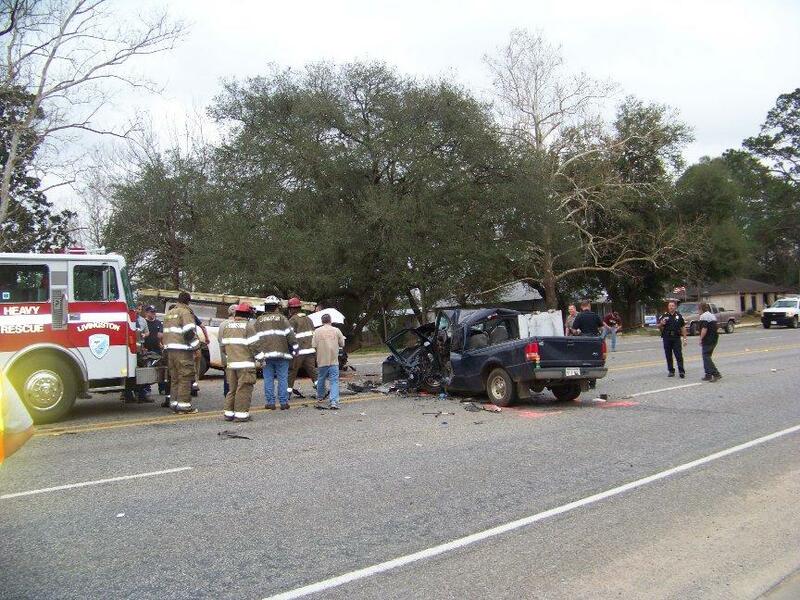 Both drivers had insurance and were life flighted to Hermann Hospital in Houston....See Related Story. At time of press, the status of the drivers of both vehicles have not been revealed.